Grenivík Guesthouse set by the Eyjafjördur Fjord in central Grenivik, Grenivík Guesthouse offers free parking and rooms with a flat-screen TV. The historical farm and church site of Laufas is 9 km away. A seating area and a fridge are standard at Grenivik Guesthouse rooms. 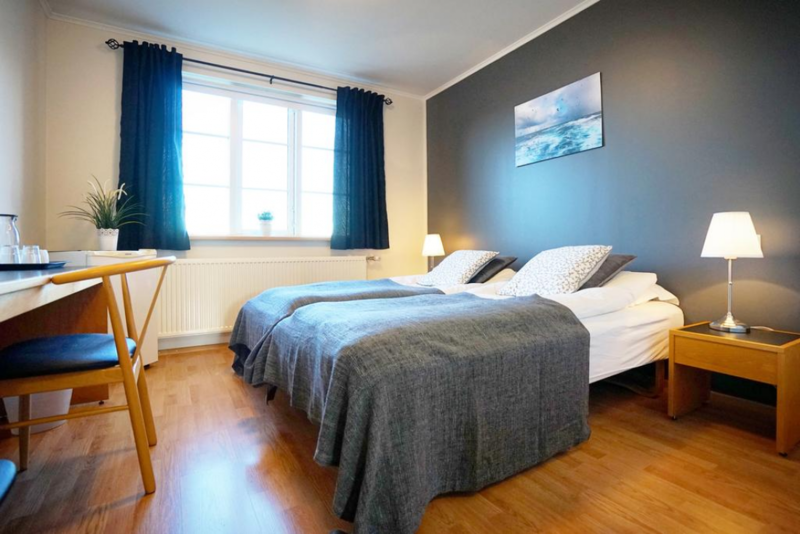 Each room has a private bathroom with shower, while some feature fjord views. All guests have access to a shared coffee maker. Popular area activities include hiking up Kaldbak Mountain. Vaglaskógur Forest is 35 km away. Features a seating area, TV, fridge and free internet.